After yesterday’s discussion, some might ask the obvious question: aren’t there already people doing this? I don’t intend to denigrate the years of service by so many passionate and intelligent fans. I wish they could have been compensated even a fraction for the sweat they’ve poured into writing about the game. And with varying degrees of success, some organizations are attempting what I propose, to support legions of writers with the values and resources of their ancestors in newsprint. There’s a battalion, at least, of podcasters. There are networks of soccer scribes like American-Soccer-News.com. And then there’s MLSsoccer.com. There has been a little debate about whether fans should consider MLSsoccer.com to be a legitimate and credible news outlet. Forget for a moment that no other major organizations provide comprehensive reporting on the domestic leagues (even though one would expect that ESPN or Fox Soccer would want to mount such an effort) and that MLS is simply stepping into the breach to give fans what they want. With the sweeping inhouse relaunch of the site this season, the league and its employees clearly plan to “cover” the sport, both here and abroad. But should they, and if not, what role should the league’s official website play? We need to remind ourselves that MLSsoccer.com is the public relations arm of a major corporation. Many fans would agree that we really can’t trust the site to give us honest, straightforward reportage on issues that are less than flattering to the league as a whole. As other writers (including one at the U.S. Mens National Team Players Association’s official website) have observed, it’s like watching a snake eat its own tail when you try to get information from an official mouthpiece that also attempts to cover the news. You don’t rely on the Federal Reserve for unbiased, critical and important writing about U.S. monetary policy. You don’t need to do it with your favorite sport either. MLSsoccer.com ought to be a repository of fast, easy-to-find video and (I credit this concept entirely to FakeSigi) openly accessible statistical data. The site should create a public API to allow fans to use the league’s entire database of historical game and player statistics. One can imagine how a blog like Climbing the Ladder, which I believe does its analysis with its own cobbled-together data, could be even cooler if it had the actual league stats to tinker with. Although MLSsoccer.com is keeping more than a few people gainfully employed, I want to see more organizations spring up so that so many writers aren’t directly dependent on the league to make a living. We need to find ways to support good, young soccer writers so they can work, report and get better at their craft without having to shill for MLS. Outside MLSsoccer.com, much of the writing on the U.S. game resembles the pamphleteering of the early Republic. Lots of Whigs and Federalists write blogs for like-minded folks, but their own biases can make them hard to take seriously. Although some good coverage of the sport comes from partisans, I don’t want the writer on whom I rely to be staked in the camp of any one team. There shouldn’t be any fans in the press box. Stories and podcasts about games shouldn’t include the word “we.” Soccer fans are incredibly passionate, and they go to great lengths to identify with their teams. But I want knowledgeable, independent writers, free of the auspices of the league and its card-carrying supporters clubs. Editors and reporters should avoid taking part in outside activities or employment that might create conflict of interest or even appearance of a conflict. They should not serve as an official scorer at baseball games. They should not write for team or league media guides or other team or league publications. This has the potential of compromising a reporter’s disinterested observations. As fans, we pay to support soccer in this country, whether in satellite packages or scarves. If for no other reason than we want to make sure that our money is well spent, we should expect the people who deliver the news to be minding the bank rather than boosting their club. The only hitch: we may have to pay more to get what we deserve. At the very least, we need more neutral, unaffiliated writers who embody the traditional values of newspaper journalism. In an ideal world, that would come with a major investment to create a news organization that could do justice to soccer’s huge potential in this country. So far, there have been a handful of single proprietors who have been successful at making a living on the internet as soccer hacks, most notably my former Herald News colleague Ives Galarcep. But I’m proposing an online publication that would require the footprint and resources of a larger organization to make it work. There are several–largely untested–business models that, with the right editorial direction and an angel investor or two, could produce soccer news worth paying for. Not everything needs to be locked behind a pay wall. Until relatively recently, Soccer America did just that, a print-focused decision that could be argued largely blunted its influence as the demand for soccer news on the web exploded. I’m not advocating for any particular model, whether its based on subscriptions, syndication, micropayments or the like. But readers need to understand that you can really only get the stories you want when a publication can pay for the work it takes to dig them up. Early in my career, I wrote about the Kansas City Wizards for Cyber Soccer Associates, a group that still exists and now maintains the American Soccer News site. For two seasons, I followed the team, writing game previews and match reports. I hesitate to say I “covered” the Wizards. As a part-time writer, I didn’t have the time to attend training sessions, and I really had no idea what I was doing. I didn’t develop stories or break news. I mostly reacted and transcribed game events. It was a great gig, but in retrospect I see the missed opportunities to go deeper. The model of American Soccer News, and I believe The Offside as well, is to create a network of volunteer writers dedicated to individual teams and link them all under one banner. It’s a great idea, but it falls short in a couple of key aspects: it’s a part-time gig at best, and there’s a tendency for the writers to be advocates for the teams rather than probing journalists. Don’t most soccer bloggers secretly consider a career writing for a major news organization with all its resources, access, accreditation and living-ish wages, the ultimate endgame for their online endeavours? …Is this after all just a fun little hobby? And if not, what are we all going to do about it? Are traditional pay-for-content models really and truly dead? The newspaper industry has largely ignored soccer, but the values of the daily print journalist are hard to beat. And the truly good newspaper reporter is impossible to replace for free. With all the writers slogging away at this subject, we have the raw talent. We have the knowledge. We have a market for the news. The soccer fan should be an advertiser’s dream demographic. We need the business acumen that can monetize the news so that writers can make the jump from dedicated and sometimes gifted amateurs to professional reporters, with all the accountability and responsibility that entails. There are two things on which American soccer fans can generally agree. We want thriving, world-class domestic leagues, for both men and women, and we want the men’s national team to win the World Cup. At this point, we’re decades, if not generations away from realizing those dreams. But we can get there by taking one step at a time, and the most important step is to keep the sport alive here long enough for it to happen. A vigorous press, despite its shortcomings, has always been vital for a strong democracy. 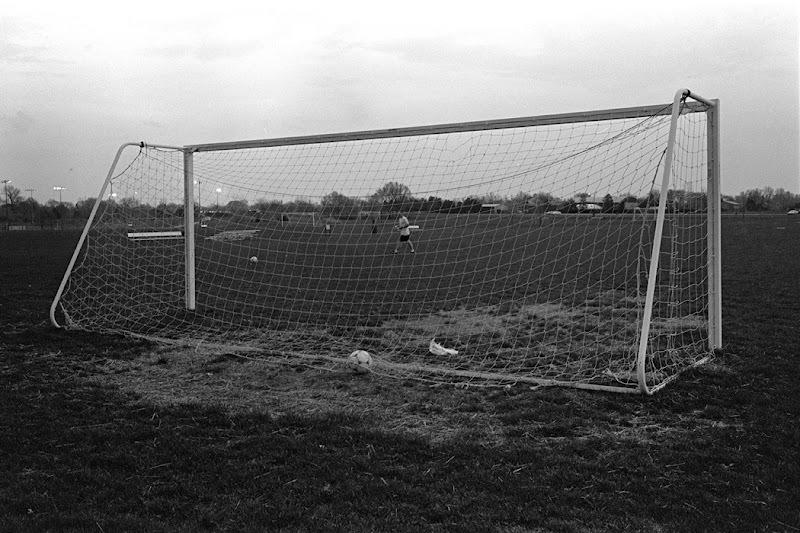 For soccer to continue to grow in America, we need a stronger, independent press. To do it right, to have professional reporters competing to break stories in every city with a team, it will cost money. For soccer fans and other interested readers, it may be end up being cheap, but it won’t be free. At the end of the day, for the sport we all love, it will be a small price to pay. Who's minding the goal? was published on May 13, 2010 by Tom Meagher.